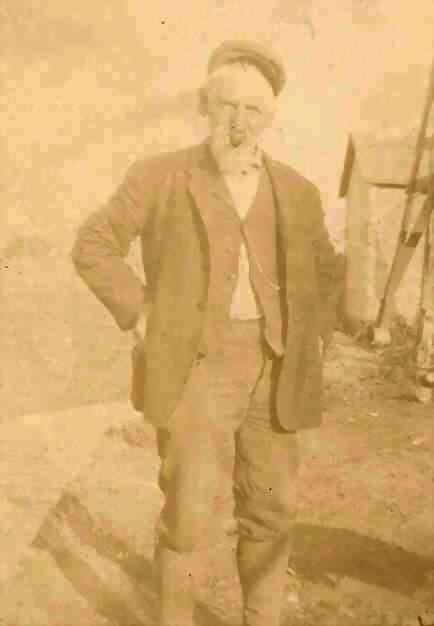 John Kaiser was born at Hessen Herchonau, Germany on February 27, 1838 and departed this life at his home in Lebanon, Nebraska on December 20, 1928 at the age of 90 years, 9 months and 23 days. 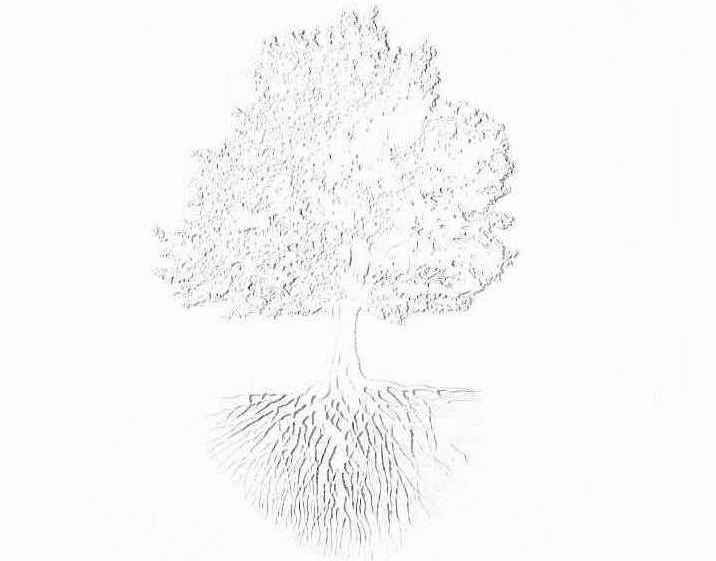 He grew to young manhood in his native state and came to America at the age of twenty eight. He first settled near Peoria, Illinois but after living there a short time he moved to Nebraska City, Nebraska. On January 1, 1868, he united in marriage to Barbara Ann Hildenbrand at Nebraska City. To this union two daughters, Louise and Hannah were born. Both of them survive. Shortly after he was married he moved with his bride to Watson, County, Missouri, where they lived until 1877 when he moved his family near Johnson, Nemaha County, Nebraska and lived there until 1891 when they moved to Lebanon, Nebraska, where he resided with his family until his death. 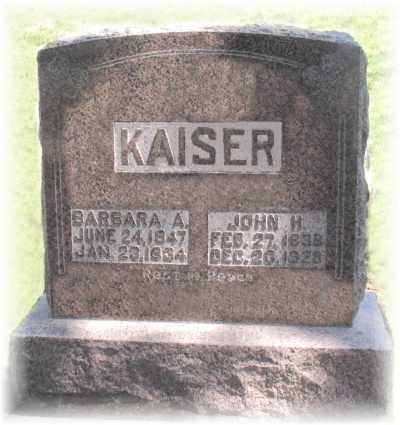 In 1871, Mr. and Mrs. Kaiser adopted a daughter, Mary, who proved a kind and loving daughter and faithfully cared for her aged parents until recently when her health failed. Brother Kaiser united with the Lutheran Church when he was but fourteen years old and his last days were spent in preparing for the end which he knew must be near. He was a kind father, and affectionate husband and a good neighbor and citizen. He lived to a ripe old age but her will be missed by all who knew and loved him. He leaves to mourn his aged wife, Mrs. Barbara Kaiser, his two daughters, Mrs. Ora Bodwell and Mrs. U. B. Bartholomew and his adopted daughter, Miss Mary Kaiser; besides five grandchildren; Ursa, Mary and Ora Bodwell of Fort Collins, Colorado and Ross and John Bartholomew of Lebanon, Nebraska.